Are we taking event security seriously enough? It is a sad fact that events that attract crowds can also attract people who want to do those crowds harm. The recent attack at the Ariana Grande concert in Manchester, and the Boston Marathon are chilling reminders of group vulnerability. Incidents such as these have heightened concern and prompted dialog among the international event community: At IMEX America in Las Vegas a year ago, the Exhibitions and Meetings Safety and Security Initiative (EMSSI) was launched along with an alliance with the US Department of Homeland Security and the U.S. Safety Act Office. The issue has also been at the forefront of many global education sessions and in May, IMEX Frankfurt announced it was offering terrorism insurance to its exhibitors. Trevor Lui, the director of operations & sustainability at The International Centre in Mississauga, Ont., who was in Las Vegas for the EMSSI announcement, felt compelled to consider the state of the issue in his home and native land. And what he saw concerned him. 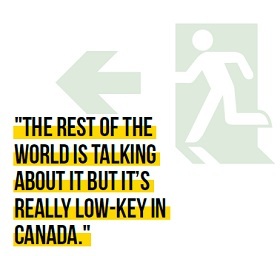 “The rest of the world is talking about it but it’s really low-key in Canada. We have our fair share of the marketplace when it comes to events so why aren’t we addressing this at the same time? It feels like we’re not moving at the same pace as the rest of the world.” This prompted Lui to convene a meeting of Canadian industry leaders at the Event Security Round Table earlier this year. While the discus­sion is in its early stages, the intent is to gather data, increase education and communication on the topic, and develop standard guidelines. While the wheels are in motion for an industry-wide discussion, what do you, as an individual planner, need to know and do in order to ensure that you, your clients and, most importantly, your attendees, are safe and protected? While events have always been targets for demonstra­tions and theft, the risks have grown more potentially devastating. “Western ideals have become targets,” says Peter Martin, president and CEO of AFIMAC Global, a risk management and security company. Sherrer says she considers security at every step of the process. “I approach it as my responsibility in assisting clients to make informed decisions. For example, ‘Here’s where we might be vulnerable: the keynote could attract demonstations,’” says Sherrer. She also asks hotels what their plan is for managing crises and what other groups are at the venue during their stay. “There needs to be a centralized thought process on who’s responsible for what,” says Martin. “It’s great when we’re planning with a customer and the customer actually contacts us about emergency preparedness, which is very seldom,” says Lui. All players need to keep each other in the loop and discuss how the evolution of the event may affect security needs. Martin relays an incident where his firm was supplying security to a somewhat controver­sial client who was speaking to what was supposed to be a closed group at a university. Unbeknownst to the security detail, the event was opened to the public and the attendees became violent. The client escaped unharmed, but the lack of communication “put every­one in danger,” says Martin. With protecting yourself comes having insurance for all events. “You should always carry event insurance, but still, I know many planners don’t,” says Sherrer. Spencer points to a case where a planner was hired by a college to coordinate a travelling performance series. One of the performers caused considerable fire damage to a hotel room. Neither the college nor the planner had insurance, so the college sued the planner for professional negligence. “Many courts will rule that the professional expectation of planners is that they have insurance and have conversations regarding security and safety with their clients,” says Spencer. Do they have references and can you have numbers you can call directly? If the firm asks to be on the call with you, that’s a red flag. Do they have a long-term reputa­tion under the same name? Have they done repeat work for well-known companies? Will they indemnify clients against something they do wrong? Can you see their insurance and ensure that it has their name on it? Do they specialize in a lot of ser­vices other than security? If so, run, says Martin.